Women’s associations that were organized by Japanese Canadian women in the early twentieth century were called fujinkai. 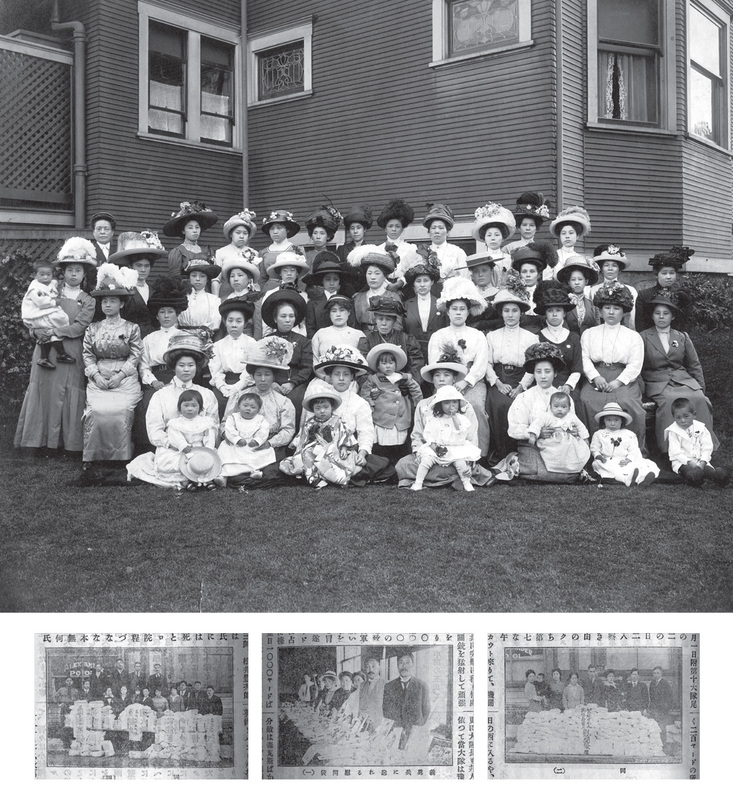 Seventeen years after the arrival to Canada of the first known Japanese female immigrant, Yo Shishido, the Nippon Fujinkai was founded in Vancouver in 1904. Under Genko Nagamine’s leadership, the initial mandate of the Nippon Fujinkai was to raise funds to send relief for the bereaved families of Japanese soldiers who were killed in the Russo-Japanese war. 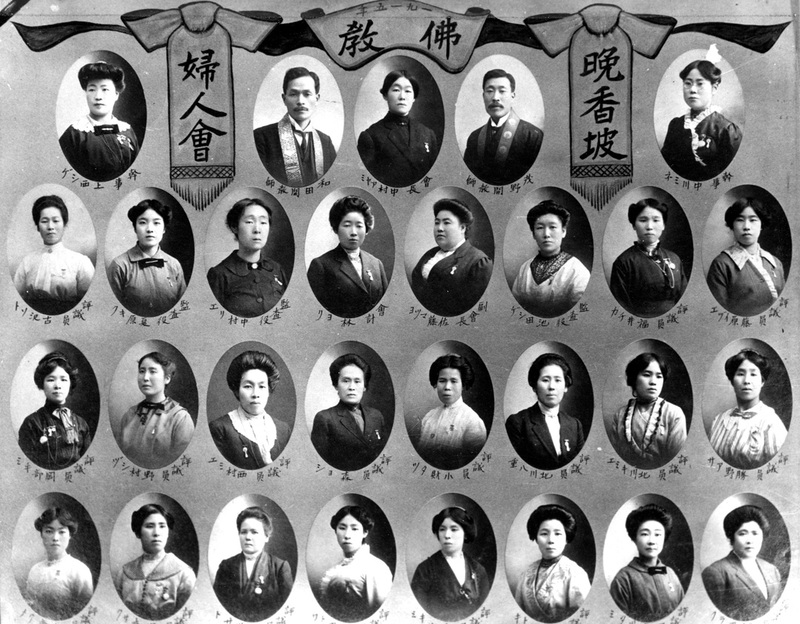 By 1907, the Nippon Fujinkai had over 170 women who worked tirelessly to support immigrants who came to Canada from Japan. 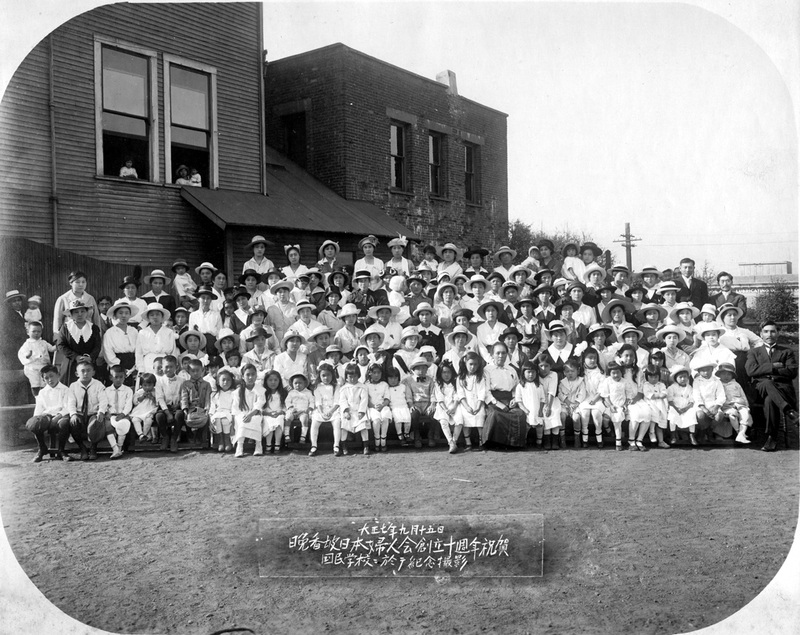 With the growth and diversification of Japanese communities and enclaves in British Columbia, there were over eight fujinkai organizations in different regions of the province in the early twentieth century. These included the fujinkai in Haney, Steveston, Ocean Falls, New Westminster, and other areas, as well as Buddhist and Christian fujinkai in Vancouver. The fujinkai groups served to bridge Japanese groups with the broader Canadian society. They also networked with different associations within the Japanese Canadian community, such as the ubiquitous prefectural associations, to address various social issues and to help settlers adapt to the new socio-cultural environment in Canada. During the First World War, fujinkai worked jointly with other women’s associations and the Canadian Red Cross. Prior to the systematic uprooting of Japanese Canadians from the coastal areas during the Second World War, the Haney region of what is today Maple Ridge was home to a thriving Japanese Canadian farming community. The Haney town hall was used to convene tea parties and meetings in which the members of Japanese and white women’s associations discussed how best to organize their efforts in order to support men who were fighting for Canada and the Allies on European battlefronts. As a result, the women of fujinkai knitted pajamas, socks, and bandages, and packed them into care parcels that were sent to the soldiers. Fujinkai also carried out charity campaigns to raise funds for Vancouver General Hospital. In 1909, the women raised over $1,000 from the community. Ten years later, they managed another donation of nearly $5,000. The donations were made to pay for the medical services that Japanese immigrants received at the hospital, and to support the hospital when government funding for medical care was lacking. Partly because of the paucity of historical records, fujinkai and the women who ran them have been among the voiceless groups in Canadian history. However, in the words of Nakayama Jinshirō, who published his magnum opus on Japanese communities in Canada in 1921, it was the “greatness of women’s power” that propelled the transformation of Japanese immigrants from transient migrants to permanent residents of their adoptive country, Canada. Indeed, as ethnicity-based women’s groups, fujinkai made important contributions to the diverse and complex history of twentieth-century Canada. Nakayama Jinshirō. Kanadadōhōhattentaikan, zen [Encyclopedia of the Development of Japanese in Canada]. In Sasaki Toshiji and Tsuneharu Gonnami, eds. Kanadaiminshishiryō, vol. 7-8. Tokyo: Fuji Shuppan, 2000 (originally published by Japan Taimusu in 1921). Top: The Nippon Fujinkai, circa 1910. NNM 2010.31.17. Bottom: Japanese Canadian community support for the war effort, from Kanadadobohattentaikan.